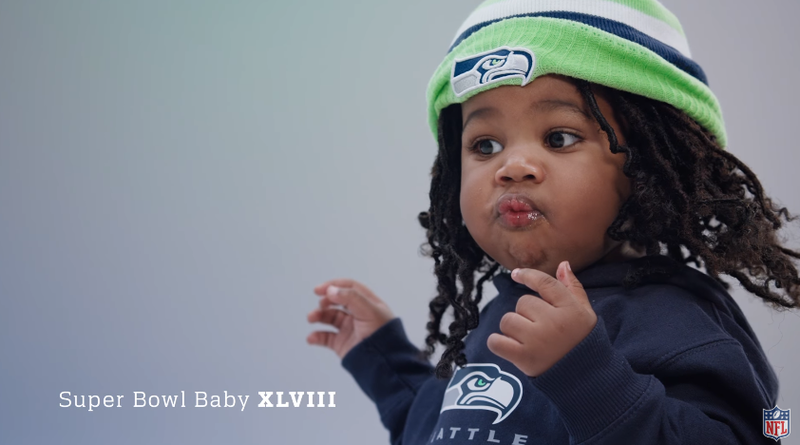 The NFL today premiered a new TV commercial starring Super Bowl Babies saluting legends of the game. This time around, the Super Bowl Babies explain what the true inspiration is behind the making of that family and how the greatness of Super Bowl players, coaches, and legends on that night inspire their creation. Set to the world-famous song “You're the Inspiration” by Grammy Award-winning and multi-platinum selling band Chicago, a cavalcade of star baby look-alikes appear on screen in quick succession. "We are excited to build upon the success of last year’s Super Bowl Babies campaign,” said DAWN HUDSON, the NFL’s Chief Marking Officer. “Through our new spot, we wanted to celebrate the players, coaches, and legends who have helped make football America's game while also engaging viewers of all ages in a fun fashion." The commercial, created by Grey New York, features unforgettable baby look-alikes of Pro Football Hall of Fame members Coach Mike Ditka, Michael Irvin, Coach Vince Lombardi, and Joe Namath, as well as Coach Bill Belichick, Marshawn Lynch, and Von Miller, who is portrayed by the daughter of former NFL star Ty Law, and the Vince Lombardi Trophy.